Pensacola State College’s Century Mobile Welding Program has been recognized as one of the Top Ten Finalists for a 2018 National Bellwether Award. 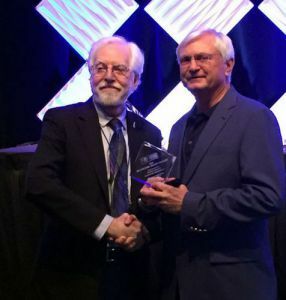 The National Bellwether Awards annually recognize outstanding and innovative programs and practices that are successfully leading community colleges into the future. Winners and finalists are invited to join the prestigious Bellwether College Consortium. Ed Meadows, Pensacola State president; Erin Spicer, vice president of Academic and Student Affairs; Dan Busse, dean of Workforce Education and Vocational Support; and Michael Johnston, director of Institutional Research, presented the program, “Century Center Mobile Welding Training Program,” at the Community College Futures Assembly (CCFA) held Tuesday, Jan. 30, in Orlando where the awards were presented. The CCFA recognizes only a select few finalists for the National Bellwether Award. In November, Pensacola State was notified the mobile welding program was a finalist in the Instructional Programs and Services Category. Awards are presented in three categories. Pensacola State’s mobile welding program began with a $2 million grant awarded by the U.S. Department of Labor in 2012. In 2014, the college used those funds to acquire two mobile welding units consisting of semi-trailers fitted with welding booths and welding simulators in order to offer the program at the Century Center. In fall 2015, the college expanded the program to its Milton campus in order to meet the demands of the Gulf Coast job market. Sponsored by the University of Florida’s Institute of Higher Education, the CCFA focuses on cutting-edge, trendsetting programs that are worthy of replicating at other institutions. For example, PSC’s Virtual Tutoring Program, which won last year’s National Bellwether Award, has been replicated at colleges and many universities across the nation. 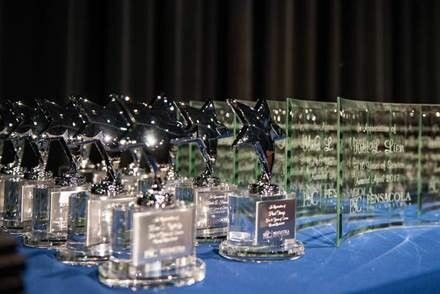 Described as the Heisman Trophy for colleges, the National Bellwether Award is competitively judged and is awarded by peers in community colleges across the country.